Shannen & her legacy earn her a spot on the list of top 150 greatest Canadians, amongst Terry Fox and Emily Carr, to help celebrate Canada's 150th birthday. You may also scan and send the form by e-mail to info@fncaringsociety.com. The Caring Society has filed a motion at the Canadian Human Rights Tribunal alleging that the Federal government has failed to comply with the Tribunal's orders on Jordan's Principle. Click here to read the Toronto Star article and learn more. 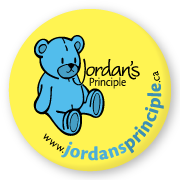 Click below for our Jordan's Principle Q&A Information Sheet, revised December 2016. 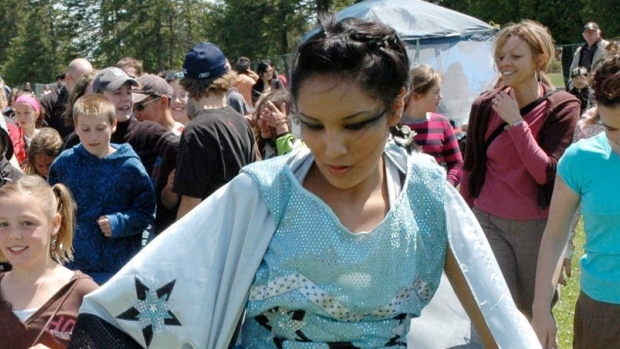 Do you know an amazing young person making a difference for Indigenous children? Nominations are now open for the 2017 P. H. Bryce Award for Children and Youth! Named for courageous health advocate Dr. Peter Henderson Bryce, the award recognizes outstanding leadership in promoting the safety, health or well-being of First Nations, Metis and Inuit children and youth. Visit the P.H. Bryce Award website to learn more! Deadline for nominations is February 15, 2017.
put band-operated schools in remote northern regions at significant disadvantage." For your consideration! This proposal for a First Nations Child and Family Caring Act for was presented by Sébastien Grammond at Osgoode Hall Law School’s Re-Imagining Child Welfare symposium on 21 October 2016. A more complete discussion of the proposal will appear in the Journal of Law and Social Policy. As you know, the NDP has tabled a motion in the House of Commons to support the full and proper implementation of Jordan's Principle and the Tribunal decisions on child welfare. Please take action and express your support and encourage others in your circle to do so as well. The vote is on Tuesday night (November 1st) and we want to make sure as many people as possible are there supporting the kids ensuring that their member of Parliament votes in favour of the motion. The Liberals also announced a new consultation strategy today with the appointment of Cynthia Wesley-Esquimault and we have also heard INAC is willing to offer agencies funds to send agency data into INAC. These two initiatives were done without consultation with the Caring Society and to our knowledge without consultation with the AFN either. The Caring Society is standing by the consultation process of the National Advisory Committee/Regional Tables with links to each First Nations community and agency. INAC is currently not willing to provide NAC with the information it will need to do the work insisting that NAC only have access to publicly available information. They are also suggesting that there be only three FN reps on NAC versus the practice we are proposing (and has been used in the previous two reviews successfully) of one per region. We need to ensure: 1) Compliance with the orders 2) full implementation of Jordan's Principle across all public services and all children without any delays related to the child's First Nations status and 3) INAC engages with First Nations and CFS agencies as well as the parties to the CHRT to ensure NAC is established and has the resources and support it needs to be successful and in the full spirit of UNDRIP. Click below for full text of the motion and debate. In this Ottawa Citizen editorial, Cindy Blackstock writes about the new government's lack of immediate action to help First Nations kids. In this CTV News video, students and teachers talk about integrating Indigenous courses into the curriculum. In a decision released September 15, 2016, the Canadian Human Rights Tribunal (“Tribunal”) found that the Canadian Government (INAC) has not demonstrated compliance with the Tribunal’s January 26, 2016 order finding Canada racially discriminates against over 163,000 First Nations children by providing flawed and inequitable child welfare services and failing to properly implement Jordan’s Principle. Read the compliance order here. Watch the trailer for Alanis Obomsawin's new film about the case on First Nations child welfare, We Can't Make the Same Mistake Twice. The film will be shown at the Calgary International Film Festival, Atlantic Film Festival and TIFF. In a special report, the Office the Child and Youth Advocate of Alberta investigates this history and state of Aboriginal child welfare in the province, and provides recommendations to better support Aboriginal children and families. Read the report: "Voices for Change: Aboriginal Child Welfare in Alberta." In sync with the release of the OCYA report, the Auditor General of Alberta released a report titled "Human Services - Systems to Deliver Child and Family Services to Indigenous Children in Alberta." In an unexpected announcement on July 5, Health Minister Jane Philpott and Indigenous Affairs Minister Carolyn Bennett committed up to $382 million to address the disparity in health services for First Nations children living on reserve. Read more on CBC News. Canada ranks 72 on the 2016 KidsRights Index, a worldwide ranking of how countries adhere to and are equipped to improve children’s rights. Canada scored particularly low in the domain Enabling Environment for Child Rights, which considers factors like non-discrimination, enabling legislation, best available budget, and respect for the view of the child, among others. Learn more at kidsrightsindex.org. During February and March of 2016, the Ontario First Nations Young Peoples Council of the Chiefs of Ontario conducted a survey in support of the Inquest into the deaths of seven youths in Thunder Bay. The goal of the survey was to learn from the personal experiences of First Nations youth, especially youth that have had to go to school off reserve. More than 100 young people completed the survey. Read what they had to say: Thunder Bay Inquest: Youth Voices Survey. Funding allocations for First Nations child and family services in the 2016 federal budget fall far short of what's needed to implement the Canadian Human Rights Tribunal decision and remedy inequities. Parties to the child welfare human rights case will submit replies to recommended immediate relief remedies by March 31, 2016. For further details are available in this information sheet.